Worried about missing out on opportunities to drive revenue onsite? 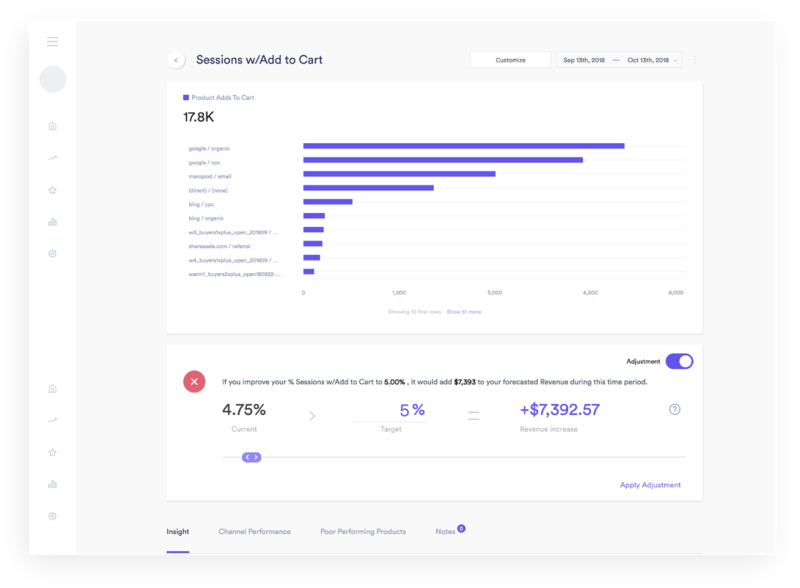 With Elevar, see custom insights with potential revenue impact that help you prioritize where to take action. Plus our anomaly detection will monitor your store and alert of you significant changes. You will discover insights that dive deep into your data across marketing channels. Why? 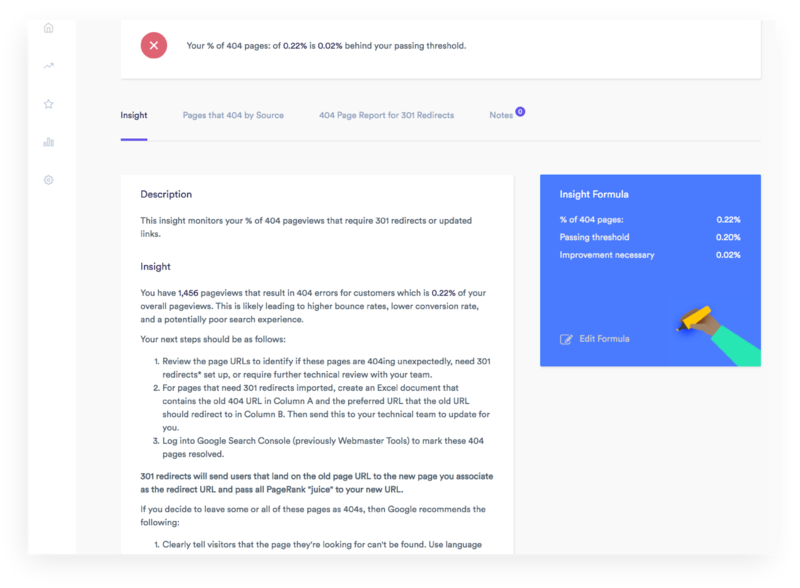 Elevar wants to help you discover campaigns and pages that are not performing so you can shift quickly. Your data is monitored 24/7/365 to trigger alerts when significant changes are detected. This is critical to move you away from spot checking 10x/day to focusing on larger optimization activities. 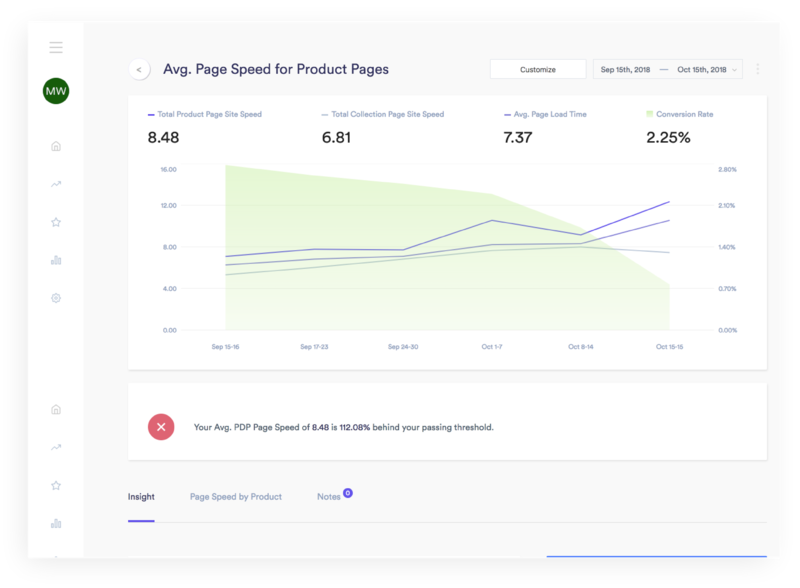 Glean insights into to your Shopify store that you can’t get out of Google Analytics alone. Associating engagement, platform, and conversion data is critical to successful optimization efforts. 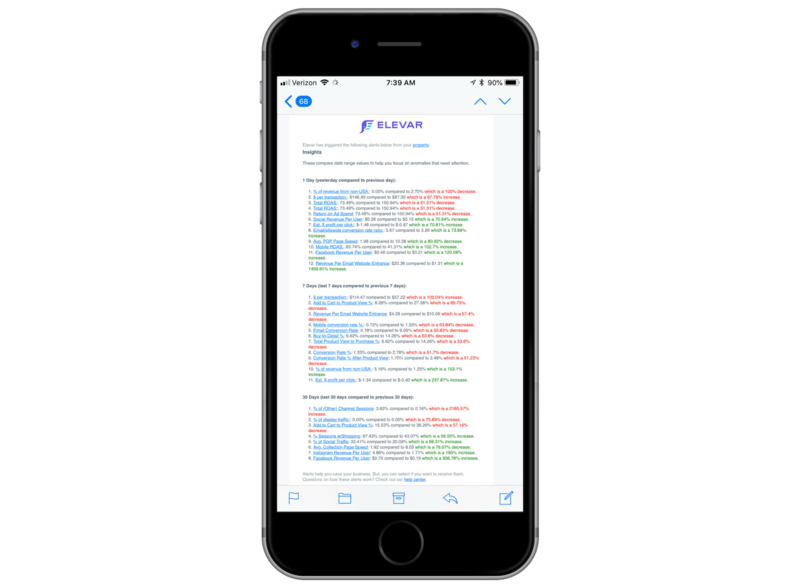 You don’t just get graphs and charts with Elevar. Our insights come with the what, why, and how to put this data into action for your store. See how we help eCommerce brands grow faster through data.